Suddenly, I began to consider my own journals and even more importantly, my own existence. Although diagnosed with HIV a few years earlier, I had been rendered a life filled with blessings. Yet I had also lived behind too many unopened doors. In those early years of AIDS, it was only a matter of time before these same friends would gather together again for another funeral. The next one might be mine. Lacking faith that Richie’s companion would ever honor this sudden proclamation, I wondered if any of my friends would truly be able to prove my existence by publishing my diaries or telling my story. And was it really their job to do so? Surely I had numerous notebooks filled with journal entries all my own. But was there a way to memorialize myself while still alive? How could I ensure that I would not become just another statistic of the AIDS epidemic and another candle burning through the night in my mother’s kitchen on the anniversary of my death? I began to talk to teenagers with the hope that, in their collective memory, I would not be forgotten. I volunteered at first in schools, synagogues and summer camps, cultivating a sort of ministry. Sharing aspects of the mistakes I made as a teenager and young adult, I inspired them with the lessons I had learned. I memorized their names, answered their questions and collected their prayers. Having amassed an abundance of memorable experiences, I began to write them down. Gradually, this small project was growing into what would one day become my life’s work. 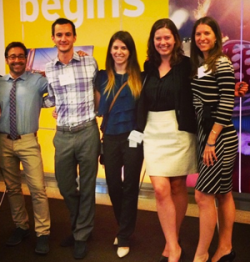 I came to realize that there was more to teaching than simply securing a permanent place for myself in the past. I could actually assist in ensuring a teenager’s place in the future. 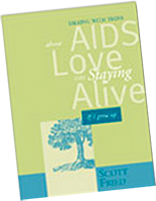 Soon, what originated as my rejoinder to Richie’s journal had developed into an entire book, If I Grow Up: Talking With Teens About AIDS, Love and Staying Alive. As a result of the book and my lectures, our correspondence began. Since teenagers live on the Internet, emails started pouring in from all parts of the world. In the beginning most of the letters were about gratitude for being seen and understood. As my travels progressed the content of the emails intensified. Are there any truths you still want to find before you die? What do you do when you have such good stuff in your life & you feel too lucky? Will there be someone to help me along the way or will I grow up alone? How can I find a person who sees me in a different way than everyone else does? Can you tell me how to feel comfortable in my own skin? If we all feel the same way deep down inside, how come it’s so difficult for people to talk to each other about their true feelings? How can you tell the difference between being in love and being deathly afraid of being alone? Is God what people make Him out to be? How do you open your heart to someone without getting hurt? Can I live up to my expectations? 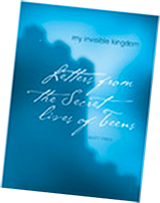 My Invisible Kingdom: Letters From the Secret Lives of Teens was written with these questions in mind. This book is an entryway, passage to and from that world. One part love letter, one part guide, it is a collection of some of the correspondence sent to me after the completion of my first book. If that can be seen as the story of my life, then this body of work is the life of my story. Yet it represents only a tiny cross-section of the thousands of letters and emails I have accumulated. These letters return us to the once upon a time when life was filled with unblemished expectation. They are the vanguard of unrepressed truth, leading the way towards a reawakening of self. Originally written as personal testimonials and private appeals, they speak to us all. 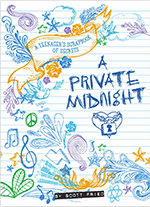 As I continued lecturing around the world, I began to work with parents and teachers, and out of this labor my newest book, “A Private Midnight: A Teenager’s Scrapbook of Secrets,” was created. This book, which addresses the ten questions I wish I had been asked as a teenager, is an encouraging guide for parents and teachers who are struggling to understand what lies beneath a teenager’s silence. Along with the teens’ anonymous answers and descriptive drawings, it is a collection of poems and possibilities, a journal of dreams. What originated more than two decades ago as a defiant riposte to an HIV diagnosis has become more than a career, but my life’s work. I’ve expanded my focus to include parenting workshops, corporate seminars and other larger organizations with the intention that my message will reach an even wider audience. I believe that my real job is to uncover people’s magnificence so that they can know it in themselves and see it in others. It is my hope, thereby, that my presence in your life will help you to recognize, cherish and value your own. A student approached me after your talk and said, "This is why I am in medical school. This is what it's all about."